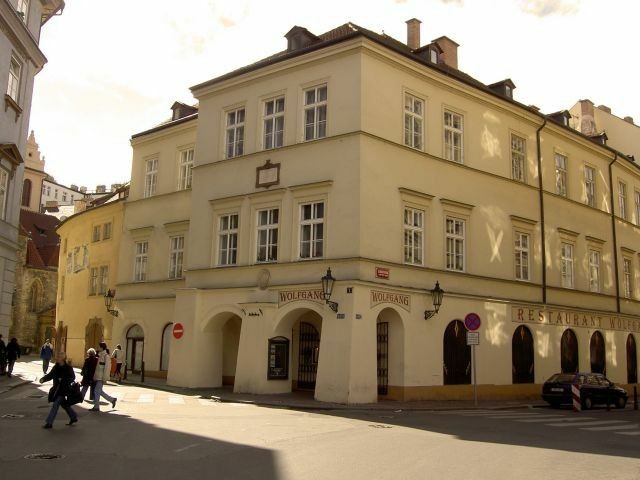 This beautiful 2 bedroom apartment is situated in a famous old building where Mozart stayed in 1787. The house stands in a small nice square with several cafes, restaurants and galleries. In the heart of Old Town Prague you can reach the Old Town square and Wenceslas square in just a few minutes on foot. The whole apartment is 60m2, has 2 bedrooms (1 King-size double, 1 twin beds (cot available)), sitting room, shower and kitchenette. The apartment also includes TV, radio alarm clock, oven, washing machine, fridge freezer and tableware. We can collect you from the airport and take you directly to the apartment with no fuss after a long flight. We will help you with any local knowledge you might need and give you tips on sightseeing and recommendations for good restaurants and nightspots. We can organise transport with driver for day trips. Just ask if you have any special requests and we will do our best to help. Look forward to seeing you in beautiful Golden Prague! Great location. Igor was very responsive and everything was ready for our arrival. We had a great time and really enjoyed our stay. The flat we rented was a very cozy 2-bed apartment in Prague 1. Apartment was clean and had everything you would need to make your stay perfect. Rooms were large and bright. The owner Igor was very welcoming and took time to ensure we were comfortable. He also made himself available should we need assistance and arranged for Michael (an English speaking driver) to transport us to and from the airport. Amazing location and great apartment to stay in. Would definitely return. Igor is very professional and friendly. He assisted us with transportation from the airport. Once we arrived, he explained the apartment, provided us tips for where to eat and go. Excellent communication was always given. Walking distance to sightseeing, grocery, restaurants, and Jazz Club, but not on a busy tourist street. Igor was great and helped arrange transportation to and from the airport. The apartment was well equiqqed and clean. We even did laundry. Double windows keep down road noise and light blocking window shades were appreciated! What a great place to be, its better than I could describe for location, facilities, food , drink, gifts, sightseeing, Magic at this time of year. Igor is a very nice totally helpful gentleman. we will definitely return to Prague in the future. regards Dave (and this is from a Yorkshire man). Enjoyed our stay from the time Michael picked us up at the airport (we arranged with Igor) until he picked my husband up to take him to the airport. The location was central to all the tourist attractions and an open air market on the next block. Grocery store is one block away and there are may excellent restaurants nearby. The beds are comfortable and the apartment was very clean. Always had hot water. Igor was not available but his mother met us and showed us around. It does get a little loud in the early mornings when the bars are getting out.. Would recommend the apartment to anyone. In the heart of Prague Old Town you will find all the amenities and attractions on your doorstep. Prices are for whole apartment, not per person. No hidden charges. Towels and bedding supplied. Clean, secure apartment. Contact us for to enquire about availability. Airport transfers available. Please ask if you have any enquiries. We're happy to help. Prices based on four people or fewer sharing. There will be a small charge per person for more than four sharing.